The winner of the Silver BIM Award 2018, the Jardins de l'Arche tower in La Défense, will feature three hotels, offices and an observation platform at the top, by 2022. With its 54 floors, standing 200 meters high, this project won in the category of new construction projects with an area of more than 40,000 square meters. What really sets it apart is the construction, steered by the CSTB, of a 3D-printed physical model, based on the digital model of the project. After building this reduced-scale model (1/250 scale), the CSTB equipped it with 500 sensors, and then conducted wind loading tests on the facades and structure, in the CSTB’s atmospheric wind tunnel in Nantes. These tests were crucial to optimizing the tower’s design, especially the top part (for hotels), in order to make it a pleasant place to be, even in heavy wind. 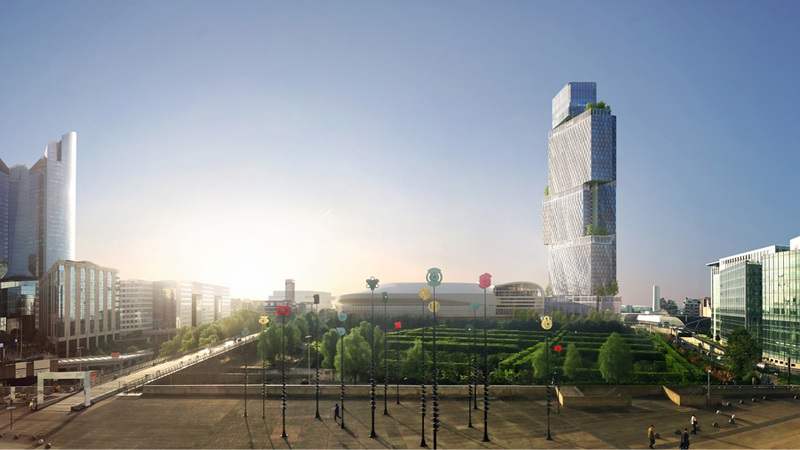 The Jardins de l'Arche tower will be built next to the U-Arena stadium in Nanterre, for which the CSTB also carried out wind testing (sizing and comfort). The Hekla and Alto towers, projects nominated for the Gold BIM Awards 2018, were also tested aerodynamically in the atmospheric wind tunnel of the CSTB.